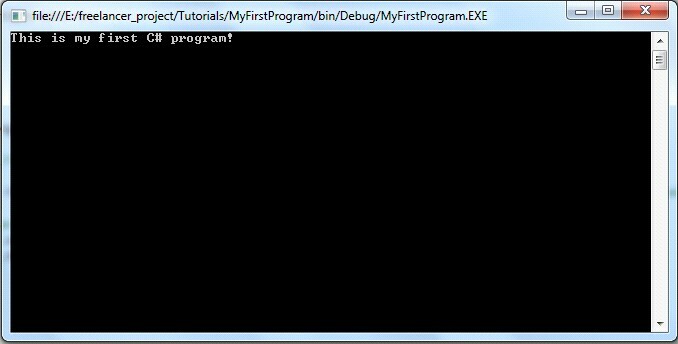 This tutorial will guide you how to create your first C# program, build and run it. If you are newbie to C# programming language, this tutorial is very important. Location: This is location where your program is located in your hard disk. You can use browse button to select location or you can type location directly. Solution name: The name of your solution. Here you need to note that there may be more than one program in a solution. I named the solution is Tutorials. 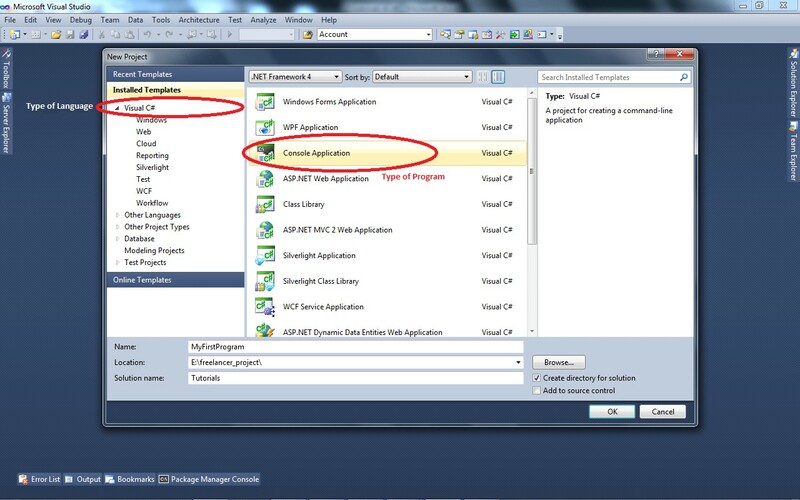 Click OK button to complete creating C# program. 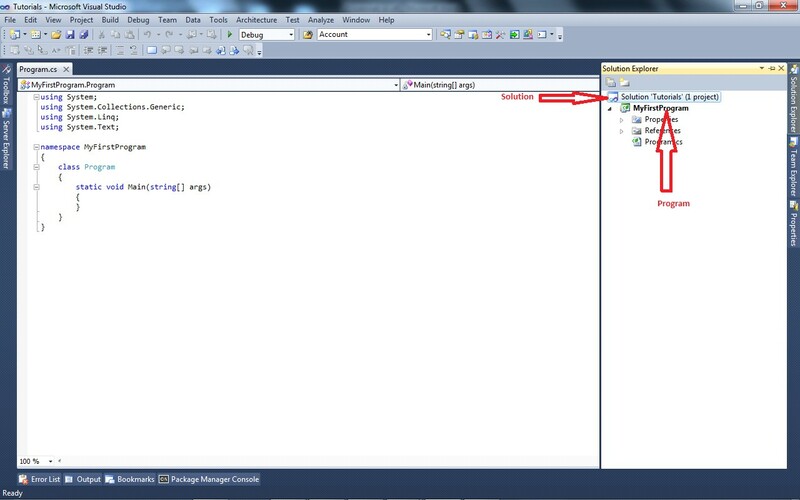 Visual Studio will create a solution with a program inside. “region” keyword (with “#” character as prefix) creates a region in document (only used for clear coding). Here I create a region named “importing libraries area” means that you should import all required libraries for the program, and a region named “program” where we setup code. Note that region can be nested. A region ends with a endregion keyword. “using” keyword is used for importing a library into the program. “namespace” keyword defines namespace of the program, here is MyFirstProgram. “class” keyword followed by an name of class, here is Program. The Main function is default starting point of the program. When a program starts running, the Main function is called first.